Prestige Wishing You a Happy Holiday Season! Prestige Glassware is a family run company now being operated by their second generation. They are a MICHIGAN company providing jobs in the community for 45 people. Prestige Glassware is officially recognized in the USA as a premium decorator of glassware. 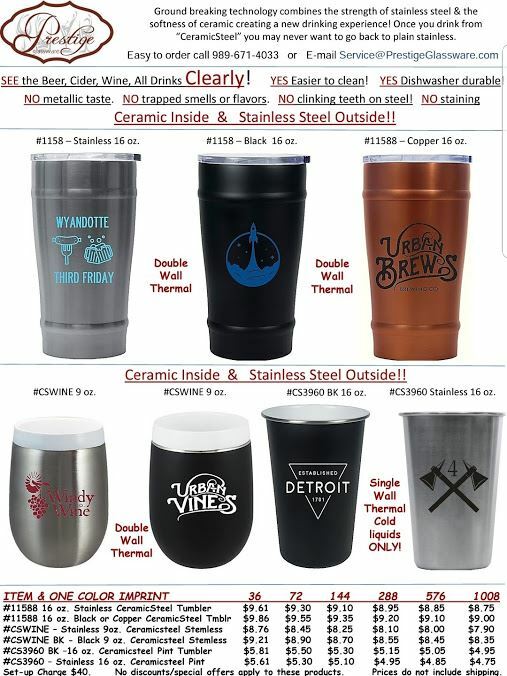 Prestige has been a glassware decorator for 40 years and has expanded their product line from 12 items to over 950 items. Prestige products are mostly drinkware and similar styled vessels made from glass, ceramic, stainless steel or acrylic. 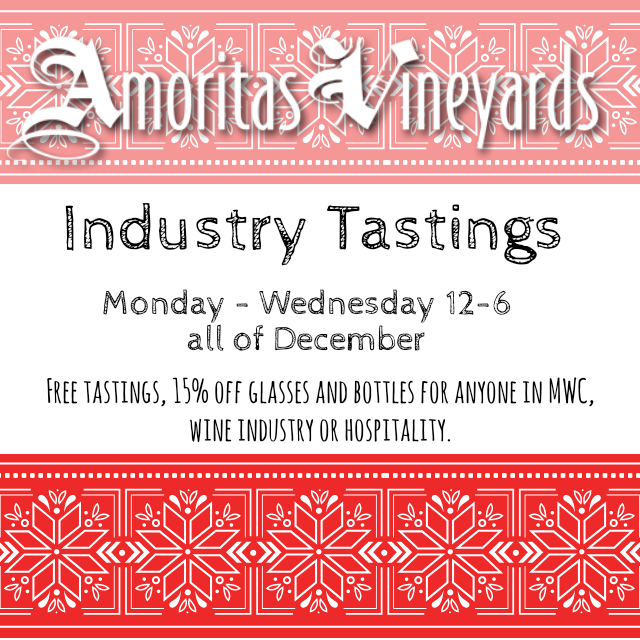 They service a large variety of customers in the hospitality, brewery, winery, and distillery industries. 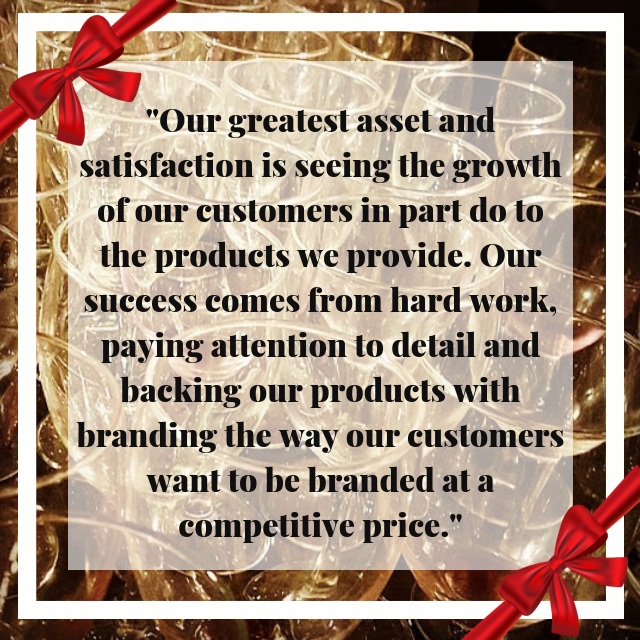 The primary goal of Prestige Glassware is to establish professional relationships while branding other businesses to help them grow and become household names. Click Here to visit Prestige on the web. E-mail fellow MWC member Richard Budd with any inquiries regarding Prestige. 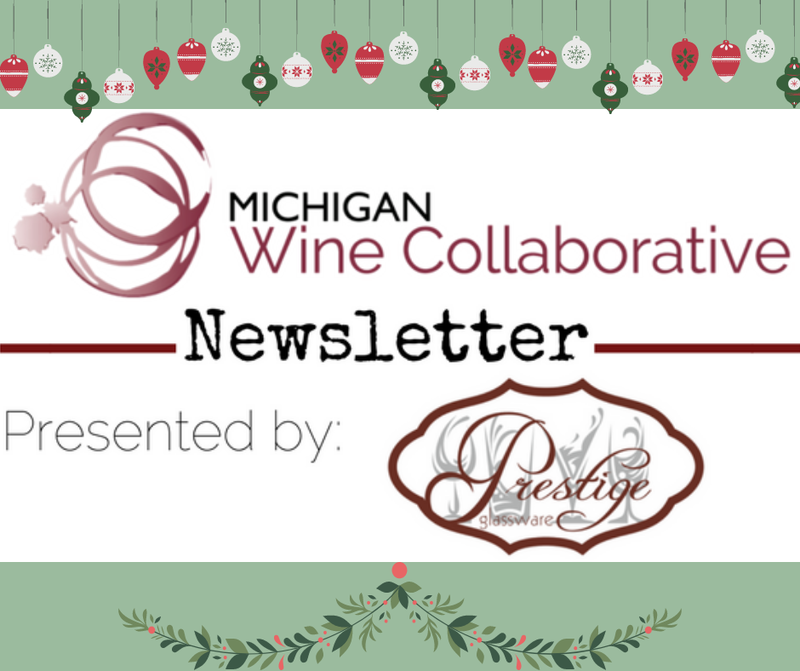 Prestige Glassware is a valued member of the Michigan Wine Collaborative and our first newsletter sponsor. Thank you Prestige! 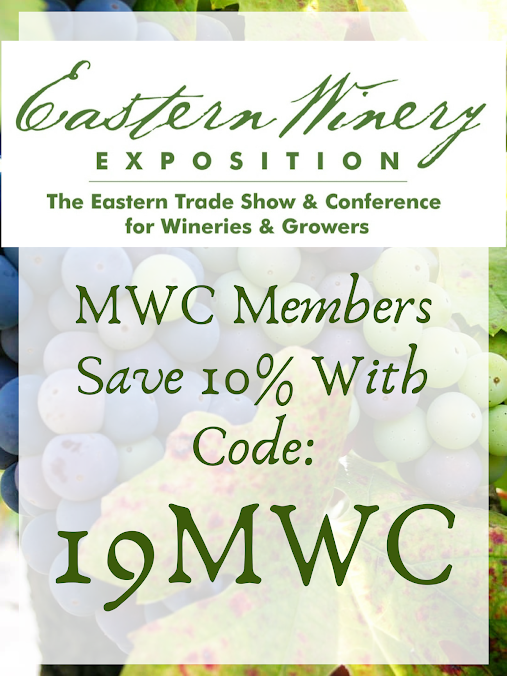 Click Here to inquire about sponsorship opportunities with MWC. 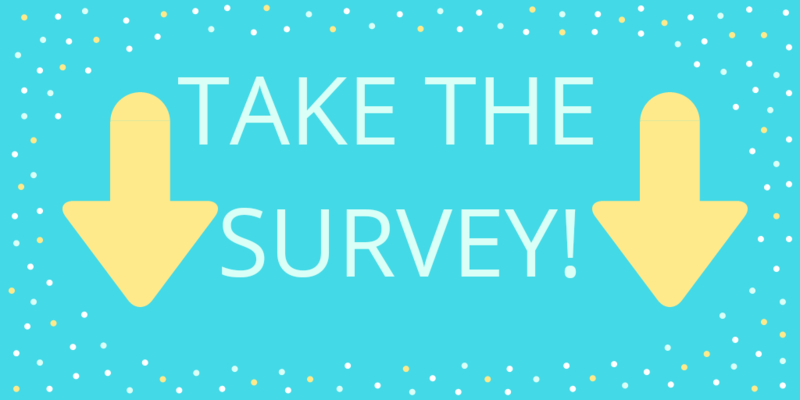 Click here to participate in the survey!! 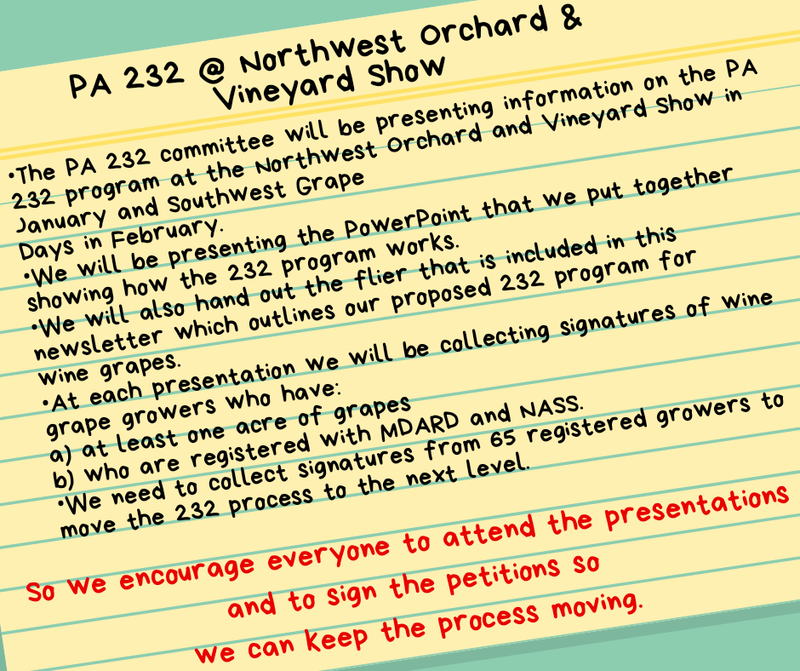 To view, download, or print the document above Click Here! 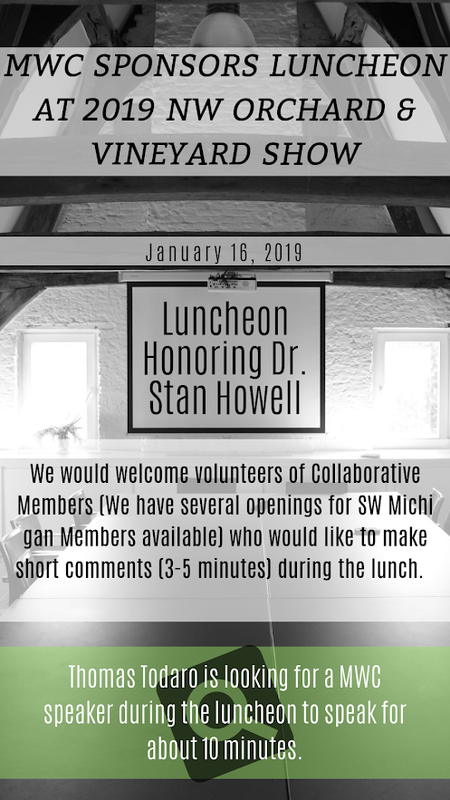 Contact Tom Petzold for more information. 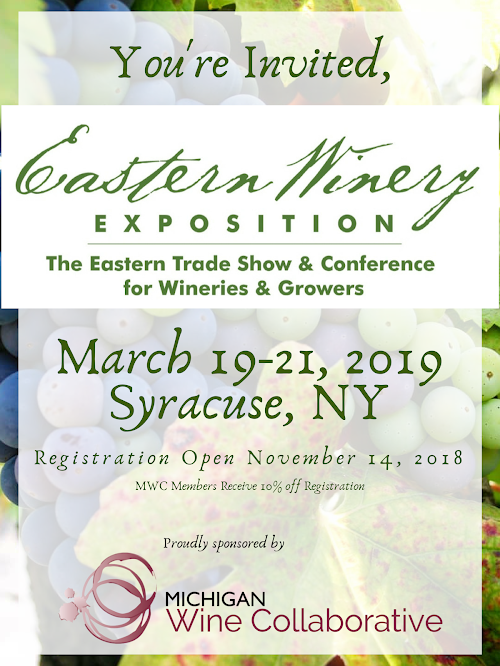 Early bird registration has opened and more information can be found here. 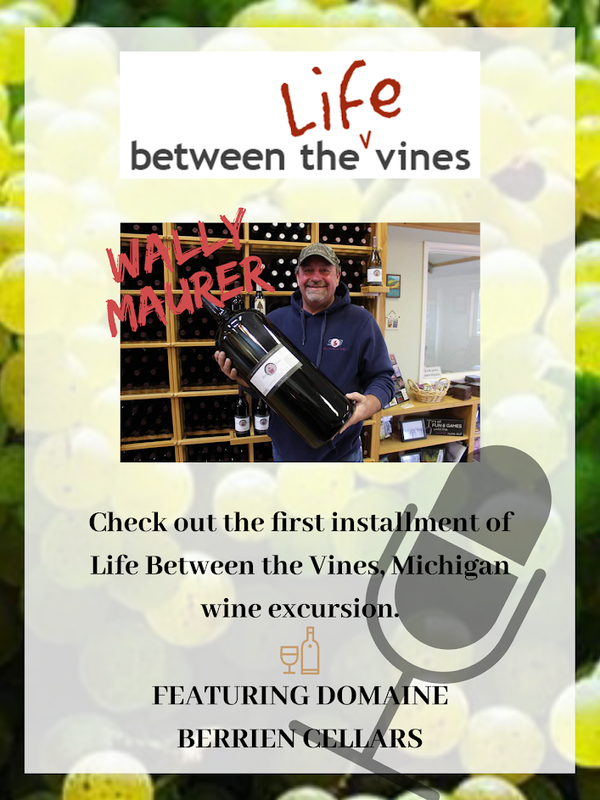 To listen to this podcast click here! Obituary courtesy ofReynolds-Jonkhoff Funeral Home:Nadine Mary Begin, 86, of Old Mission Peninsula passed away December 1, 2018 at her home with her family by her side. The family is saddened to say farewell to her earthly body, but know her soul is at rest with her lifelong companion, Jesus. Nadine was born on January 15, 1932 in Grand Rapids to the late Joseph and Helen (Fifelski) Grasinski. She was baptized as Patricia Mary at Sacred Heart Church in Grand Rapids. At age 18, she was called to a life of faith by joining the Felician Sisters where she earned a Master’s Degree in Home Economics and taught students for 22 years. As a nun, her name became Sister Nadine. Most would agree that “Nadine” was a far more fitting moniker for the elegant woman she became after setting aside her unadorned nun dresses to don exquisite and bright outfits after exiting the convent. In 1970 she met a “handsome and debonair” priest at St. Margaret Mary in Detroit. 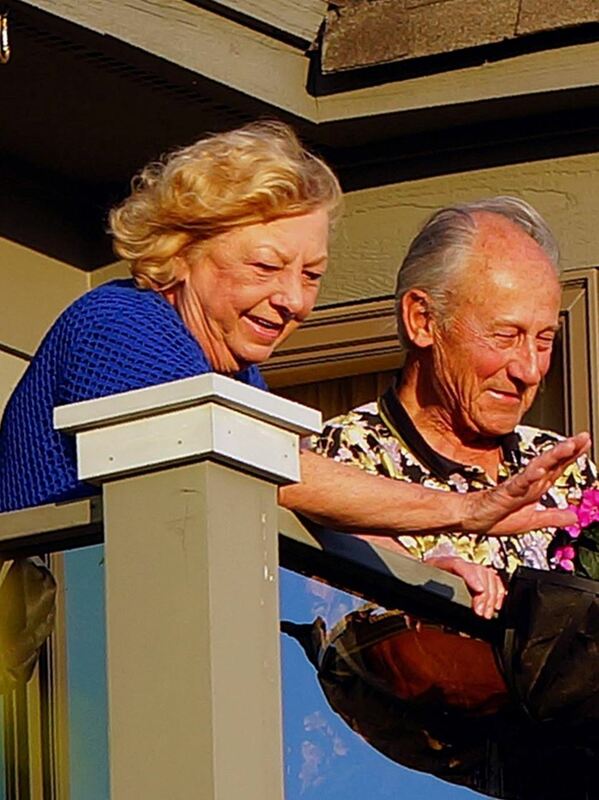 After the two made their own decisions to seek a different life and retire from their positions, they were married on October 4, 1974, the Feast day of St. Francis and Bob’s birthday. On March 10, 1978, at the age of 46, she welcomed a daughter, Marie-Chantal. She described the moment as “nothing on earth can compare to the ecstasy of God’s presence” as when receiving her baby in her arms. In 1983 the two purchased land on Old Mission Peninsula and begin planting a vineyard, opening Chateau Chantal together in 1993. Setting her decorating, cooking and hosting skills to work, she warmly served guests daily for 10 years. To provide her guests with a compendium of her recipes, she wrote a book called “Feed my lambs, feed my sheep; the meals and memories of a lifetime” in 2009. The “last intense joy of her life” was the arrival of a grandson, Luca, who called her Busia, Polish for Grandma. He brought a little piece of heaven down to earth with his smiles, laughter, and play. Nadine’s life was one of giving. Through her talents, she provided love and comfort to friends and strangers alike on an unparalleled level. There wasn’t a day without music, laughter, delicious food, love, and prayer. The everyday was celebrated and special. Nadine is survived by her husband of 44 years Bob; daughter Marie-Chantal (Paul) Dalese and grandson Luca. She is also survived by her sisters Carol Matecki, Angel (Jim) Erdmans and Mari (Raphael) Capila; and sister-in-law Elaine Grasinski. Nadine was preceded in death by her parents and siblings Frances Hrouda, Genevieve Grasinski and Joseph Grasinski. The Mass of Christian Burial will be held at St. Joseph’s Catholic Church on Saturday, December 8, 2018 at 12 Noon with visitation beginning one hour prior. Interment will take place after the mass at St. Joseph’s cemetery. All invited to Chateau Chantal for refreshments and to share memories with the family following the services. Please visit www.reynolds-jonkhoff.com to share your memories and condolences with the family. The family is being cared for by Reynolds-Jonkhoff Funeral Home. 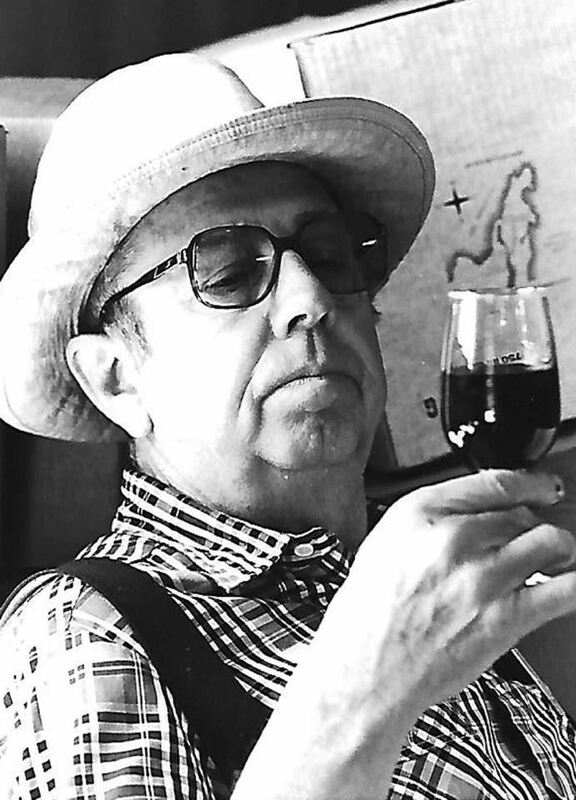 Obituary courtesy of The Record -Eagle:Leelanau County wine pioneer Bernie Rink died Nov. 29, 2018 while surrounded by family and friends. He was 92. In addition to his pioneer work in the wine industry, Rink, with generous help from Gene Power and Will Munnecke, was instrumental in bringing Inuit art to northern Michigan. In his role as library director at Northwestern Michigan College, a post he held for 30 years, Rink conducted an annual Inuit Art Sale, beginning in 1960. The proceeds from the sale were used to fund purchases of Inuit art for the permanent Inuit art gallery, which exists today at the Dennos Museum on campus. Rink was born in Avon, Ohio, in 1926. He attended John Carroll University and Case Western University, where he obtained a master’s degree in library science. Surviving are his children, Jim (Karen) Rink, David (Sandi) Rink, Tom Rink, Chris (Sue) Rink and Andy (Myra-Oliver) Rink; six grandchildren, Beth, Paul, Jake, Matt, Tim and Katie; sister, Dorothy Grant; brother, Ted (Marita) Rink; and many nieces and nephews. He was predeceased by his wife, Suzanne; brother, Carl Rink; brother-in-law, Jim Grant; and sister-in-law, Rita Rink. Visitation will be held from 5 to 8 p.m. on Friday, Dec. 7, with the rosary to be prayed at 7 p.m., at the Martinson Funeral Home of Suttons Bay. The Mass will be held at 11 a.m. on Saturday, Dec. 8, with the family greeting friends at 10 a.m., at St. Mary’s Church of Lake Leelanau. Burial in St. Mary’s Cemetery will be held in the springtime. Father Bryan Medlin will serve as celebrant. Memorials may be directed to Carmelite Monastery, 3501 Silver Lake Road, Traverse City, MI 49684-8949 and/or St. Mary’s Church, PO Box 340, Lake Leelanau, MI 49653. Condolences may be shared with the Rink family at www.martinson.info. Arrangements are with the Martinson Funeral Home & Cremation Service of Leelanau. 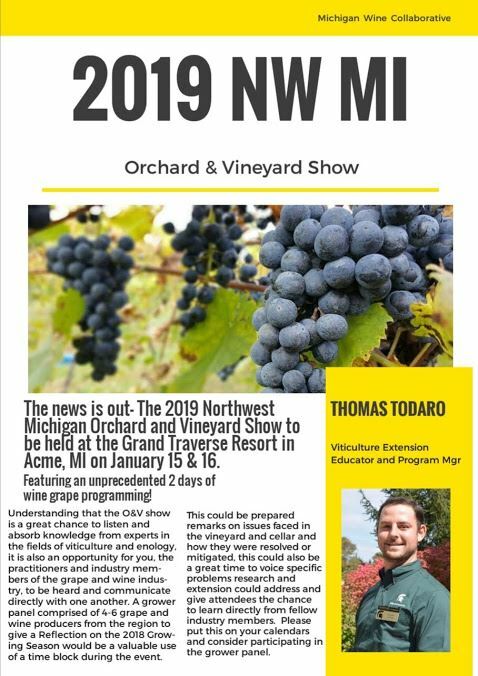 MWC has been making some big strides in areas ranging from marketing and promotion of our industry to exploring viticultural advancements, research opportunities, and apprenticeship programs. We need your help so we can accomplish even more. Let’s collaborate! Many of our committees are recruiting volunteers to aid in achieving their many goals. 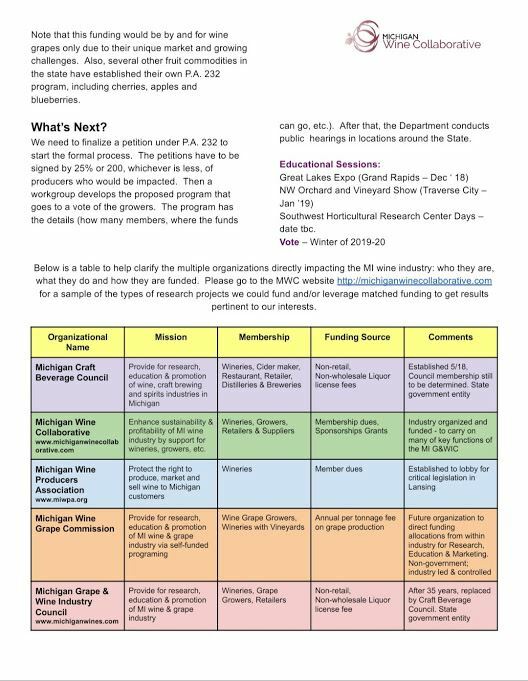 To check out 2018 goals for committees Click Here!We are adding to these every day and looking for good ideas from you. 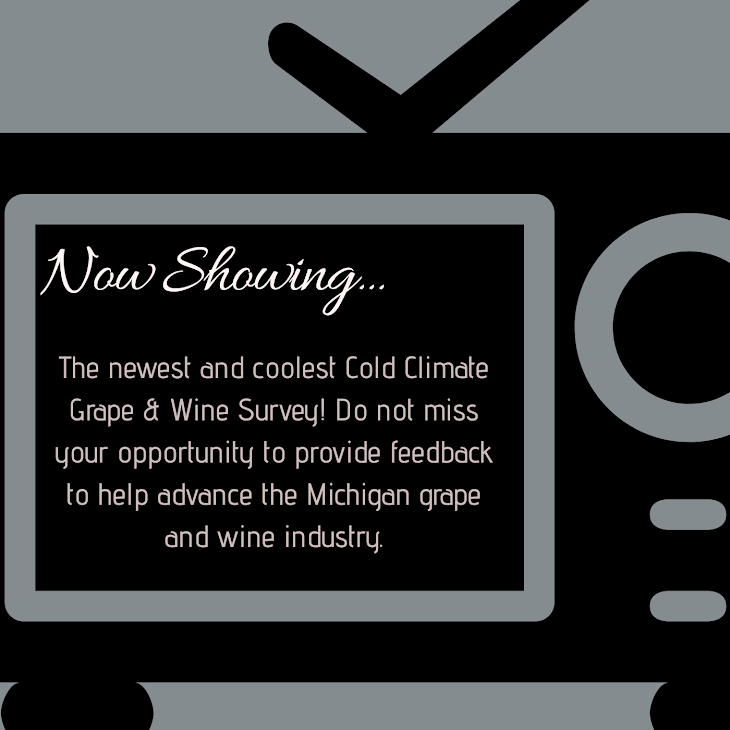 Are you looking for specialized advertisement to the Michigan wine industry? We can help with that! 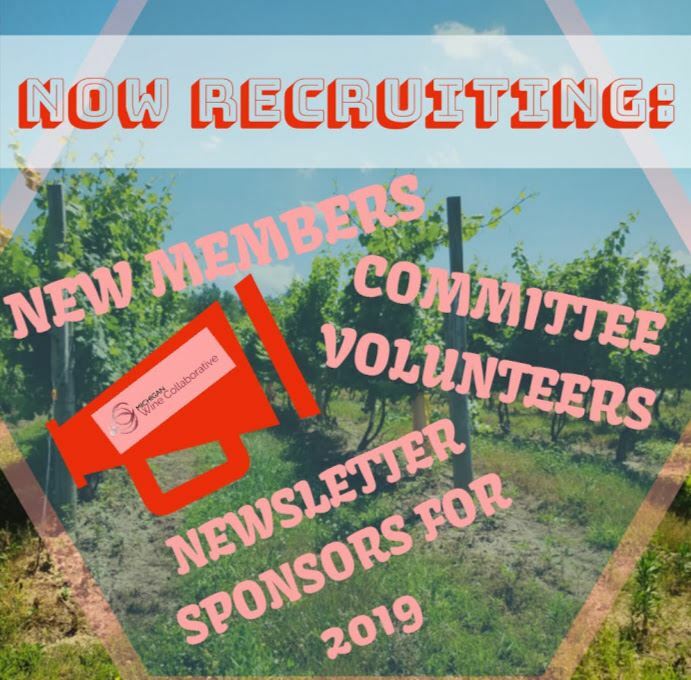 We are currently accepting newsletter sponsors for 2019. 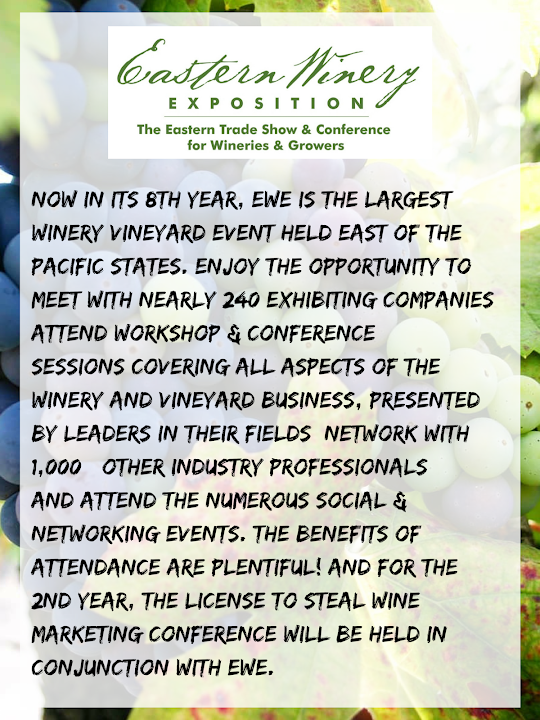 For more information on sponsorship E-mail us! 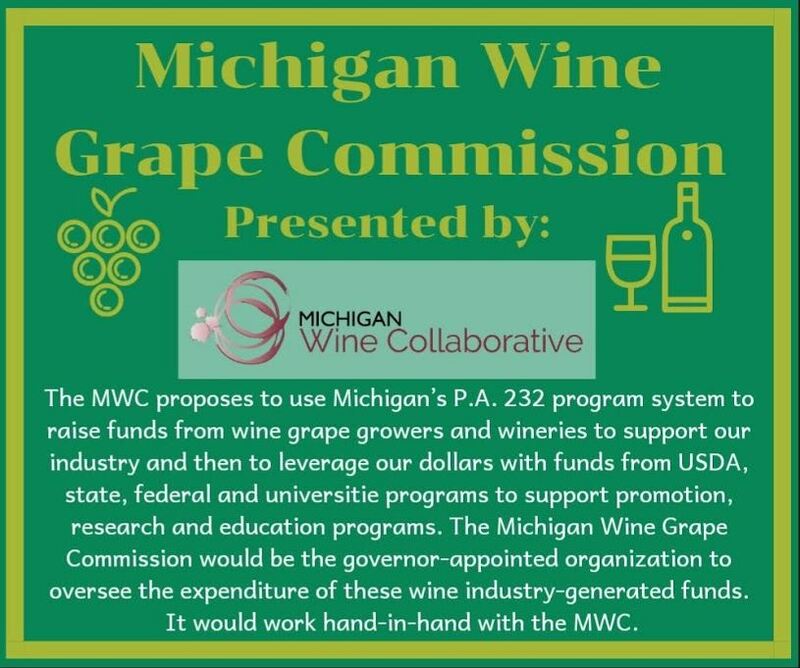 Spread the word on Michigan Wine Collaborative! 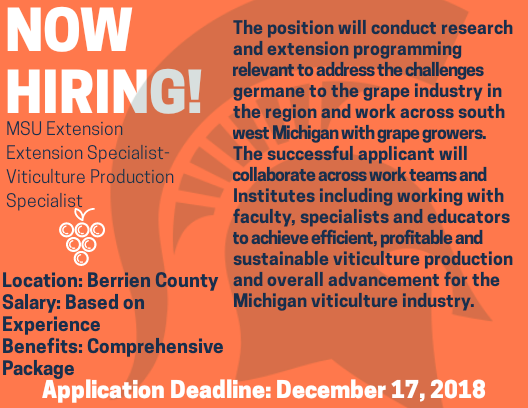 We are looking for new members to help propel us and the Michigan wine industry to the next frontier. Every fruitful recruitment by a current MWC member receives a thank you gift from us! We need to hear from you! Only a small portion of our membership has completed the satisfaction survey. MWC wants to secure satisfaction from ALL members. Please take the Member Satisfaction Survey to help us define our goals and trajectory for the rest of 2018 and beyond. Let us know how we are doing. 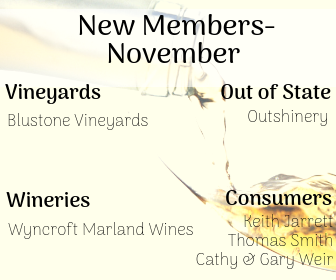 And as always, Thank you for being loyal and valued members of the Michigan Wine Collaborative. 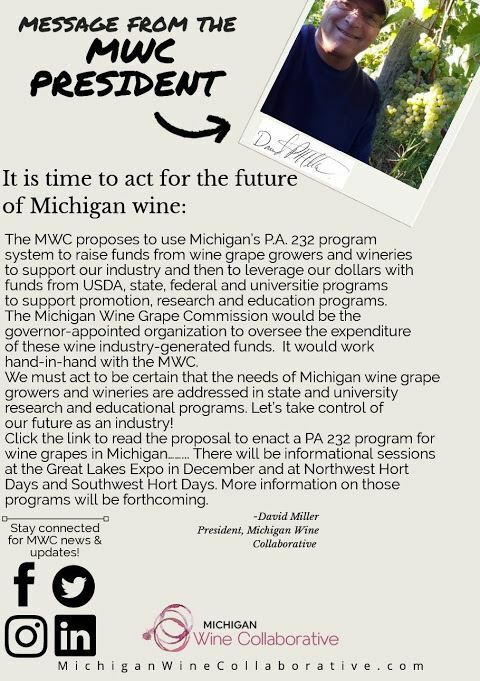 For more news and information, please visit us at www.michiganwinecollaborative.com. If you haven’t already please like us on Facebook, follow us on Instagram @michiganwinecollaborative, and on Twitter @MIWineCollab. We look forward to seeing you online! Do you have an event, news, or accolade you would like published through MWC? 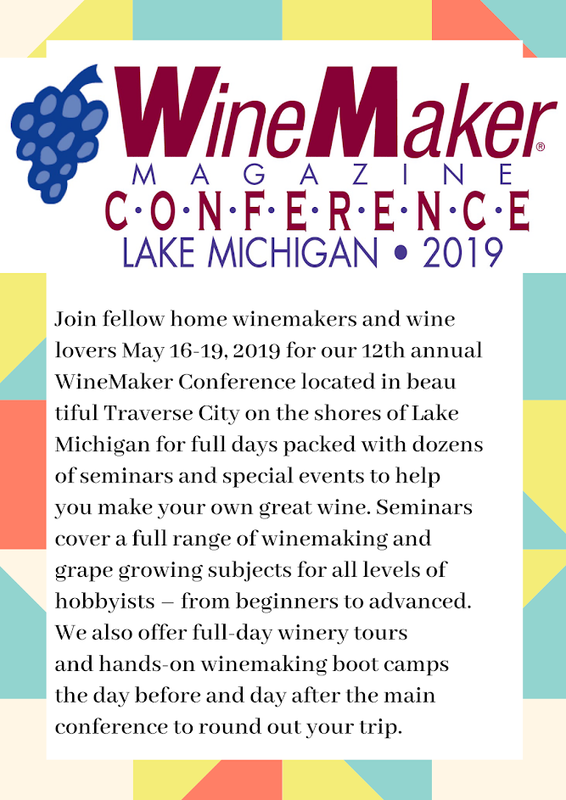 E-mail Emily at WineNotAsk@Gmail.com to submit material. 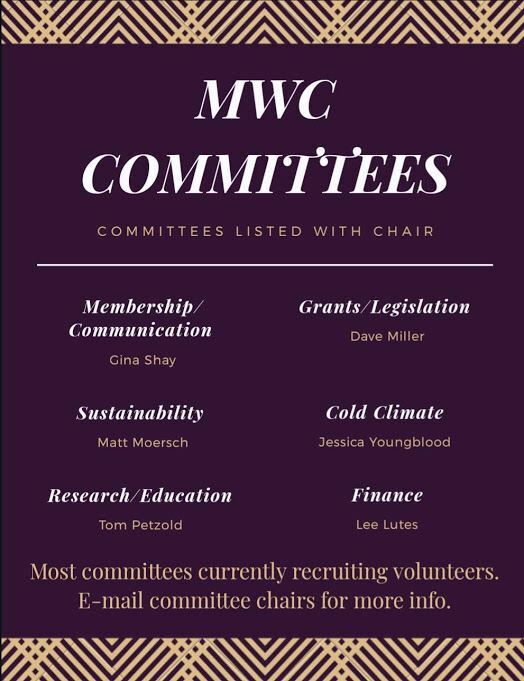 Are you involved in any of MWC’s valuable and dynamic committees? 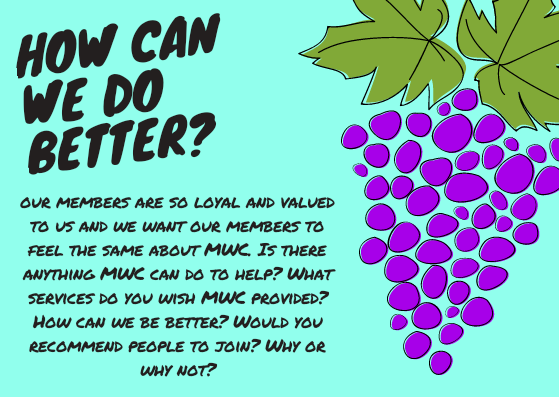 We are looking for motivated and industrious members to help our committees thrive. To request more information on available committee seats click here. ATTENTION:The Communications committee has recently merged with our Membership committee. 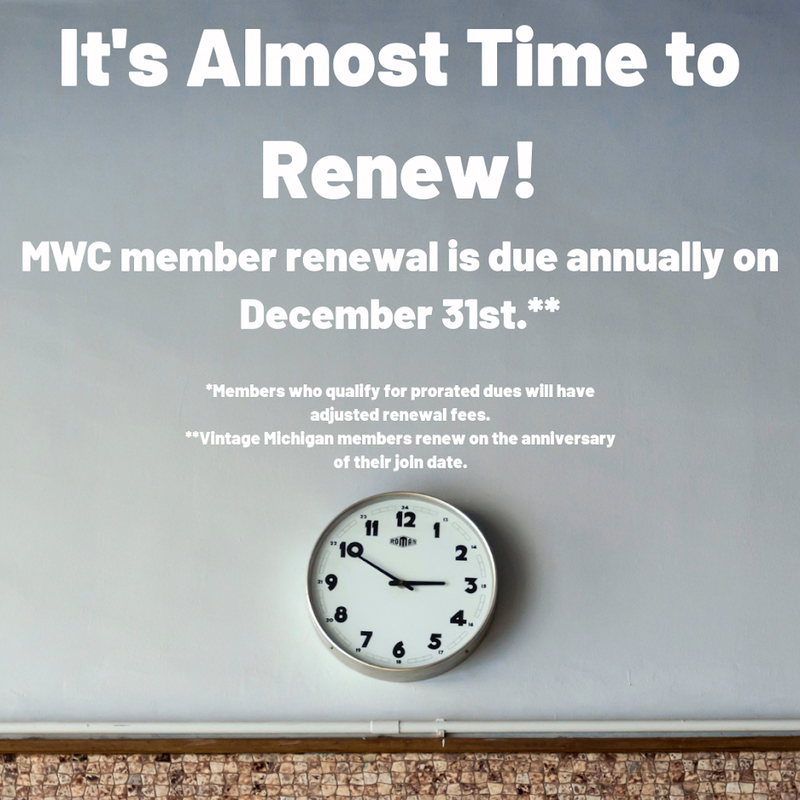 Membership & Communication committee call date is December 18th at 9am. Contact Us if you would like to be sent call in information. Any inquiries may be directed to committee chair Gina Shay. Sustainability committee will reconvene in January. Contact Us if you would like to be sent call in information for the next meeting. Any inquiries may be directed to committee chair Matt Moersch. 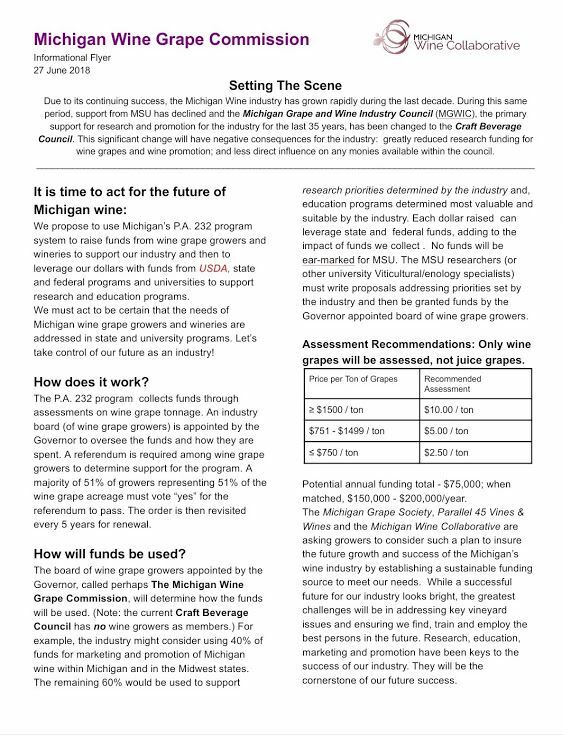 MWC cannot thank our members enough for supporting us and collaborating with us on the future of the Michigan wine industry. 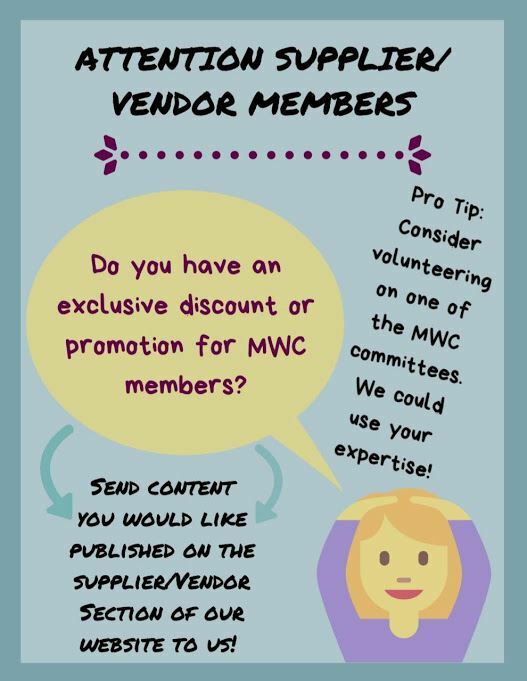 We need you to help us spread the word about MWC membership. 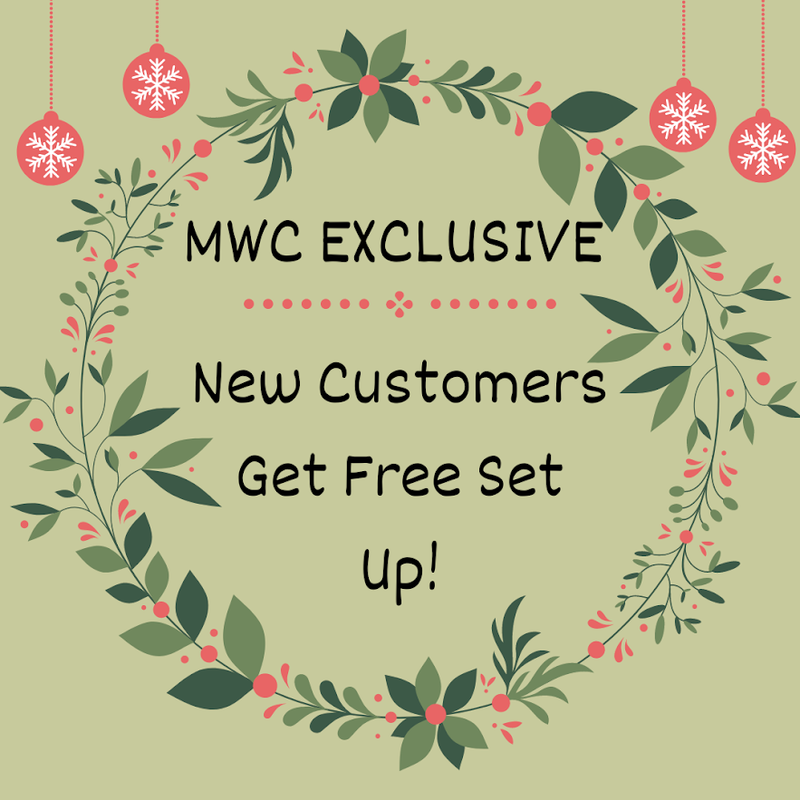 Every member who cultivates a fruitful referral will receive a small thank you gift from MWC. Reminder that board meetings take place monthly. 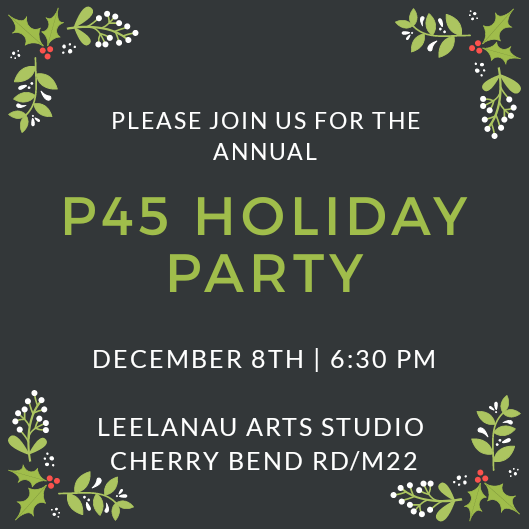 All members (voting and non-voting) are welcomed to attend. In addition, time is allotted for public comments or questions. The next board meeting is scheduled for December 10th at 10 am. 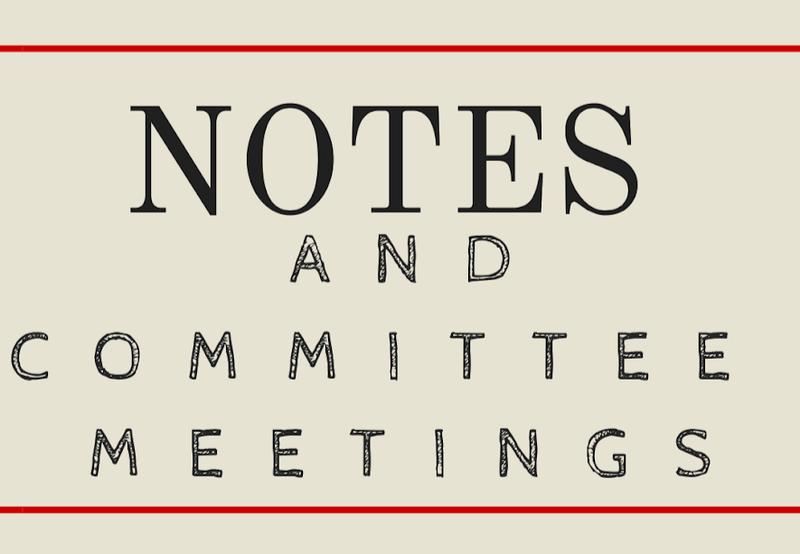 Board meetings will take place the first Tuesday of the month unless otherwise noted. 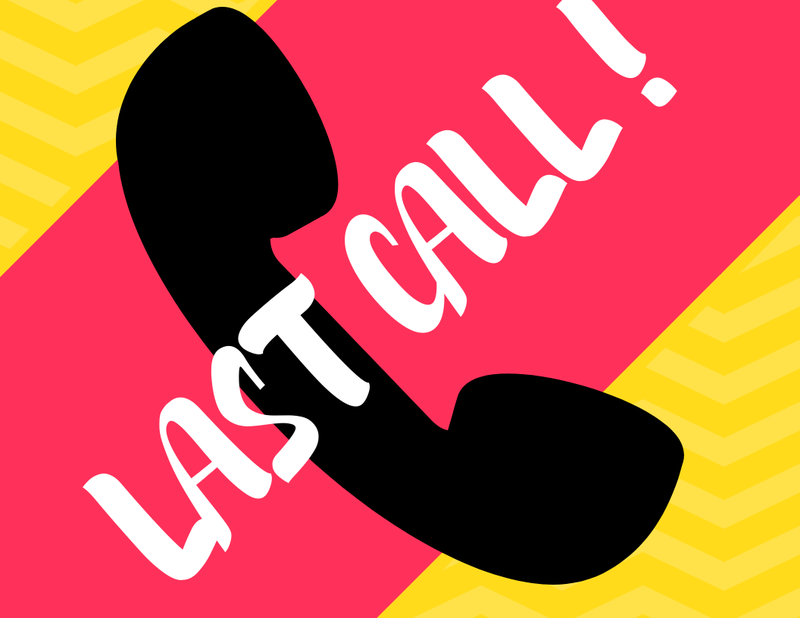 For call-in information contact us here or check the news section on the MWC website.